Observations, pictures, and sketches highlight the transition of moving to the nations's Capitol after 30 years of living in the Midwest. A clash in cultures? Maybe not! It's bad enough to get a flat tire but even worse when you are away from home. When we walked out to the car after dinner last evening my husband noticed that the left rear tire was low, and upon cluster inspection there was a nail in it. As soon as we reached the Sears automotive shop it was just closing at 7 PM. So we looked around for a gas station and of course on a Saturday night there weren't going to be many options - and there weren't. 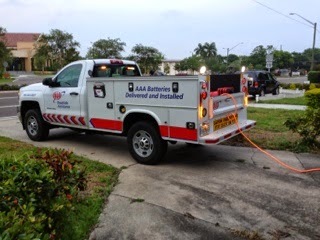 Luckily we are visiting in Florida, I am staying at home, and we have AAA. 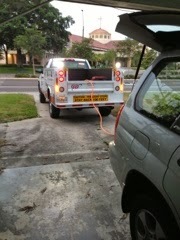 When I called they were very nice and the repairman came within the 1/2 hour to our residence. The annual membership fee finally came in to good use as there was no charge for the service. 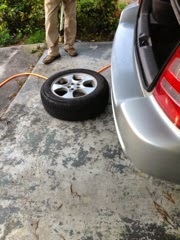 Our spare tire happens to be full size but it needed some air. 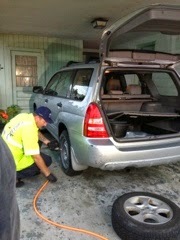 Now we need to get the tire with the nail patched and repaired before we make a return trip. All in all it went very well but it didn't keep my blood pressure from going up and it took awhile to calm down again. Now can I tell you about no air conditioning on a hot Florida night? We semi retired to DC's Capitol Hill after 30 years of Midwest living. 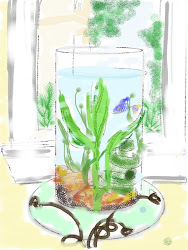 We swapped winter all year for four seasons; a 2500 sq ft suburban home for a 500 sq ft condo; a two car garage for street parking; an acre of land for a small patio & garden; and a beautiful borzoi for a tiny Betta fish. We literally left everything behind except one carload of fond memories and good wishes. My goal is to share what we encounter in pictures, sketches, and observations. It's been an interesting transition! 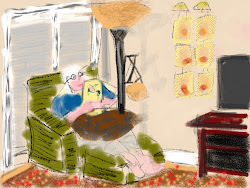 Copyright © 2019 Lois Tavaf. 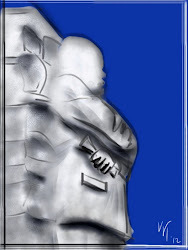 All Rights Reserved.. Watermark theme. Powered by Blogger.